Hillside Kindergarten’s latest newsletter is available to read now. Find out the latest news from around the school and upcoming events. Click HERE for the Full Hillside Calendar and instructions to subscribe. Thank you for another successful Sports Day! The weather was perfect – not too hot and not too cold. 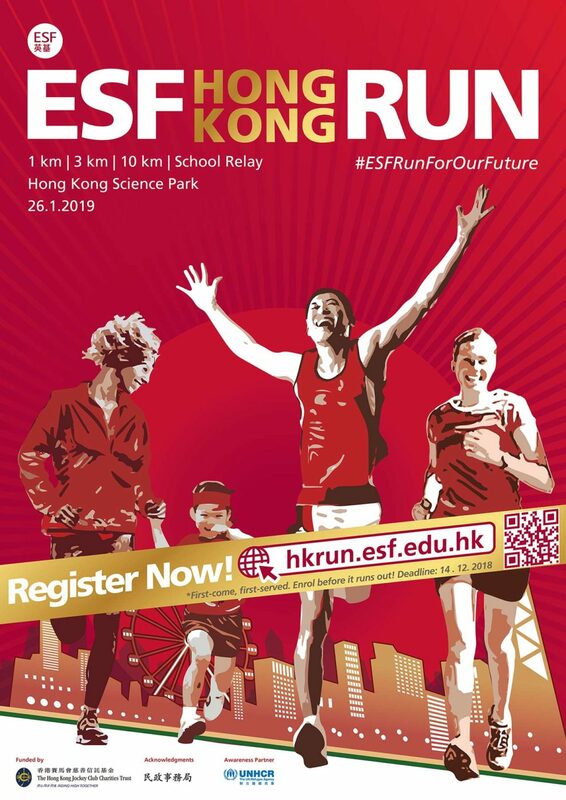 I think you would all agree that the HK Football Club is a great venue to host our Sports Day and that scheduling Sports Day at this time of the school year helped us to ensure that we had both cooler and more cooperative weather. As you are aware, starting from September this year, the offering of a Year 1 place will be made following a collaborative process involving the ESF kindergarten and primary school teachers, instead of the stressful interview process. Over the past few weeks, teachers and leaders from the ESF primary schools visited Hillside to meet with the teaching and management team and to observe the K2 children in preparation for the transition to Year 1 for 2019/20. These visits were extremely positive and helpful for both the children and teachers, and give primary schools a more in-depth, meaningful understanding of the children at this current stage of their learning. All Hillside parent should receive a letter from the primary schools today (30 November), regarding the status of your child’s Year 1 application. Please feel free to contact us or the primary schools if you have any questions about the process. It makes me proud when a number of my ESF Primary Principal colleagues mention to me that when their new cohort of YearOne students commence at the beginning of each new academic year, they are able to quickly identify ex-Hillside children. When I ask them ‘why is that…. ?’, there is a similar theme to their responses and that is because the Hillside children on the whole are confident, cooperative, articulate and are excited about learning, in addition to having a genuine interest about the world around them. As a part of our Health and Safety Procedures, we had our first Fire Drill of the year last week, and it went very smoothly and quickly. Prior to the drill, the children have been introduced to the concept of a fire drill through stories and songs. Amazingly, we did not have any tears during the drill and the children were all very calm and cooperative, following the lead of all the adults to evaluate the building. We are able to clear the building in just under five minutes – well done everyone! Next time we will have “surprise” drills! Each year, Hillside Kindergarten selects a charity to support at Christmas time. This year Hillside Kindergarten would like to assist those charities and organizations in HK that do such a wonderful job caring for the hundreds of dogs and cats that sadly end up in their care. Commencing from now, we will have large collection boxes placed in our school foyer ready to receive donations from the Hillside community. We would very much appreciate your support by sending into Hillside with your child some and dry dog and cat food. Please join us in caring for the abandoned and unwanted animals at this festive and cold time of year. Our appeal will run until Monday 10 December 2018. Collection boxes shall be available at the Hillside Kindergarten reception up to that date. As always, we thank our wonderful Hillside community for your on-going support. We get a special school discount price of $430 for TWO tickets. Please send in payment to secure your booking, we will need to confirm final numbers with the production house before Christmas. Payments can be made by cheques, payable to “ESF Educational Services Ltd”. TICKETS ARE CONFIRMED UPON RECEIPT OF PAYMENT (First-come-first served-basis). calendar of events. It will be comprised of a running course of 1km to 10km, with adjacent community activities and carnival at Hong Kong Science Park. Please click on the links below to visit our class blogs on the Hillside Learning Hub for your child’s latest class news and photo gallery. Please contact kinder@hillside.edu.hk if you cannot access the Learning Hub.